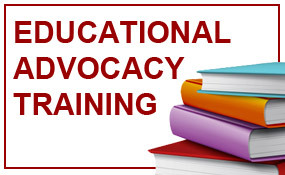 New Educational Advocacy Training Coming Soon. Stay tuned for more details! Are you a parent or family member with a child that has developmental disabilities and/or a mental or behavioral health diagnosis? A young adult who has a disability? Someone who wants to help create a fully inclusive community? Read on to learn more about our programs and how we help. Meet Cynthia from St. Charles County and view other Testimonials here.